Mr. Merino’s music theory class designed and built musical instruments using materials such as PVC, wire hangers and duct tape. The students worked in teams to make precise measurements and calculations to produce the desired musical pitches of each instrument. 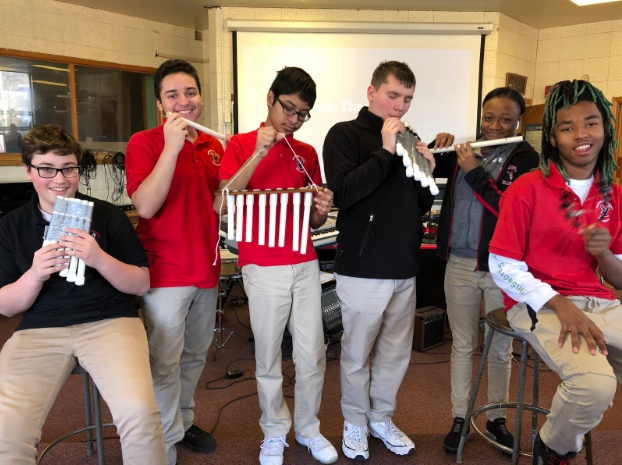 The students proudly displayed their finished products, which included pan flutes, fifes, wind chimes, and percussion instruments.